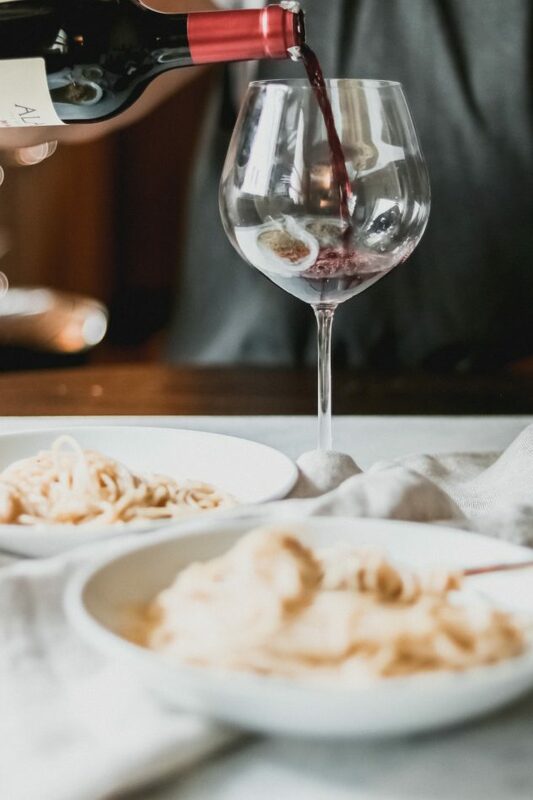 Grab your girlfriends and head out to one of these six magical places to stay for a girlfriend’s getaway to Missouri wine country! It’s no secret I’m a bit wine obsessed. Call me Olivia Pope as I wind down with a big glass of red wearing my oversized cardigan. I love to visit wine country, and Missouri harbors some of the most beautiful wine country, especially in the fall season. Nothing beats getting away for a short weekend with your best girlfriends for a little wine vacation. 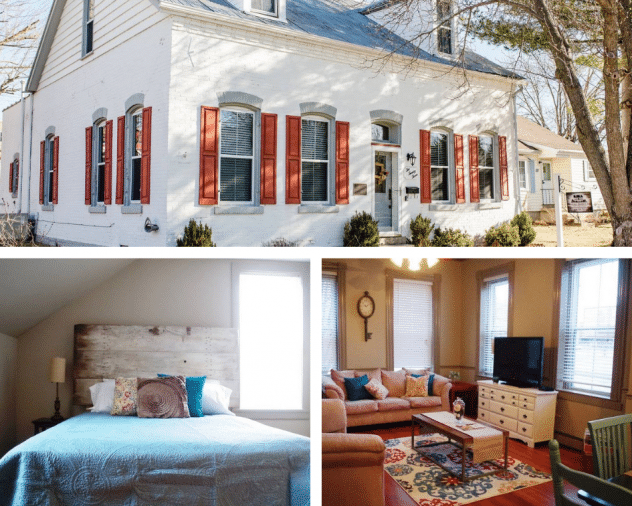 Below are six magical Airbnb locations you can stop at while visiting Missouri wine country. Note: All thoughts and opinions are mine alone. This post contains affiliate links, which means that if you click on one of the links below Wanderlust and Wellness may receive compensation. Talk about a magical experience, this tipi is one of the coolest Airbnb locations in Missouri. Luxury meets rustic in this tipi nested in the woods. 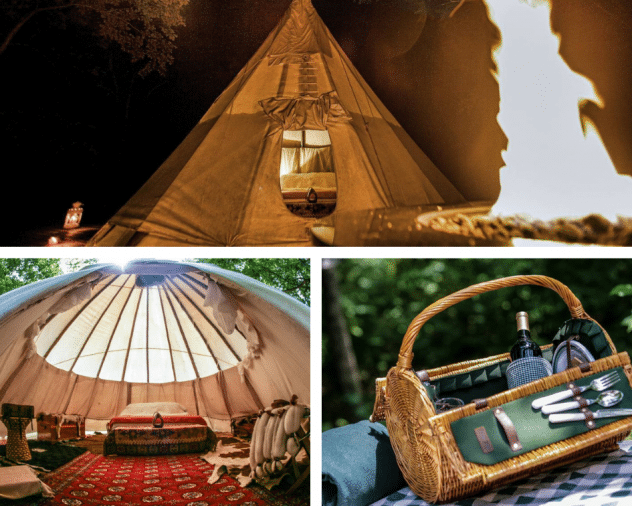 Don’t be fooled, this tipi sleeps up to six guests, so it’s plenty big enough for you and your girlfriends. Located outside Park Hills, Missouri, you’ll get the quiet serenity of this location while being not too far from the nearest town. You can find the listing here. Weston, Missouri is gorgeous wine country. Located just a short drive northwest from Kansas City, with its high river bluffs lined with trees, you’ll be able to take in beautiful fall foliage sights while visiting the local wineries. 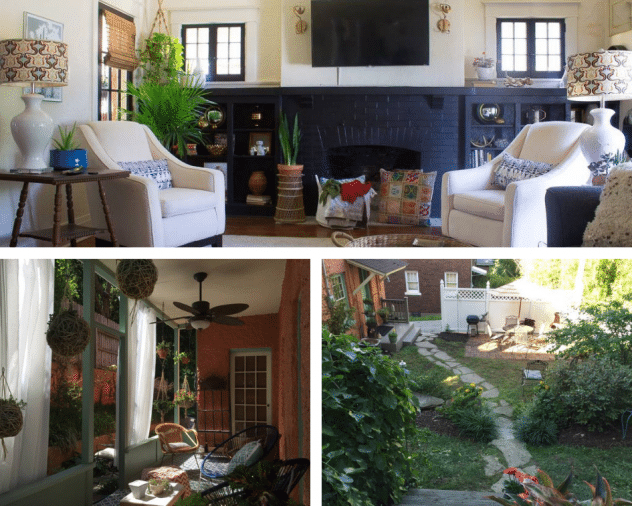 This cottage on main is a whole-house rental that sleeps six and has that cute bungalow charm. You find the listing here. 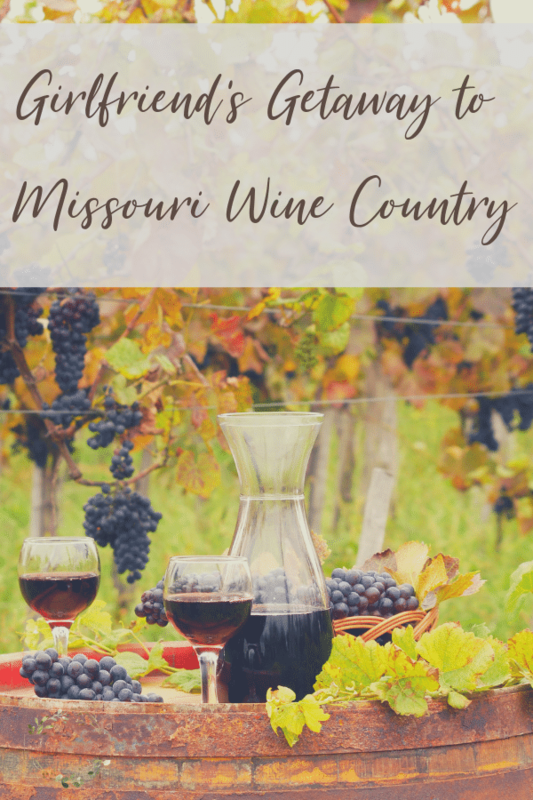 Venturing to the opposite side of the state, Hannibal, Missouri is one of the lesser known places to visit for Missouri wineries. Also a quaint river bluff town, Hannibal displays its own beauty of high river bluffs and gorgeous fall foliage. If you’re a Mark Twain fan, you can also take in the local sights connected to the famous author. 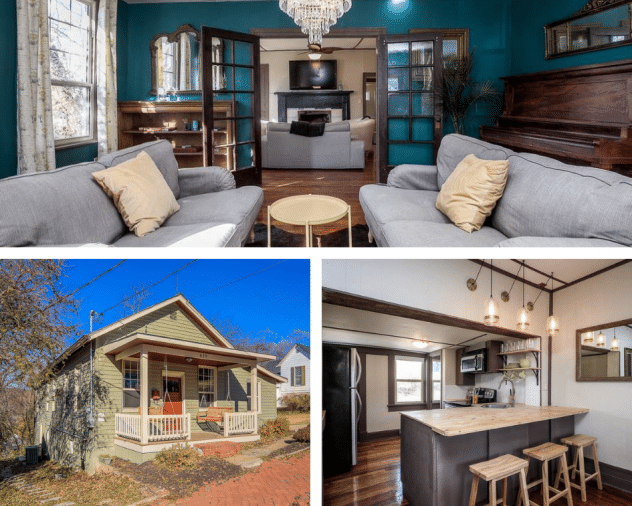 This beautiful craftsman home sleeps up to eight guests, is located in downtown Hannibal, and has all the modern amenities you’d want while keeping that early 1900’s craftsmen charm. You can find the listing here. This historic inn is located in the heart of Missouri wine country in Hermann, Missouri. 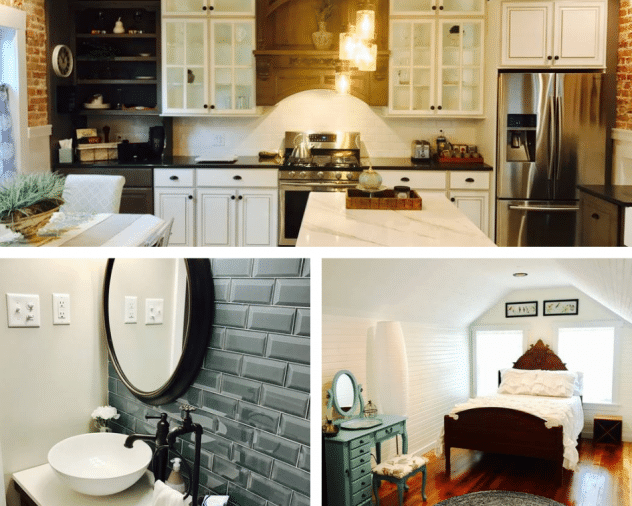 This gorgeously remodeled historic home sleeps ten guests, perfect for your girl’s wine weekend! Hermann is THE place for fall wine weekends. They even have a trolley you can pay to ride from winery to winery! You can find the listing here. Just up the road from Hermann is another gorgeous winery town nestled in the heart of Missouri wine country, Augusta, Missouri. This remodeled 1850s home sleeps six and also offers modern amenities with that original craftsmanship charm. You can find the listing here. 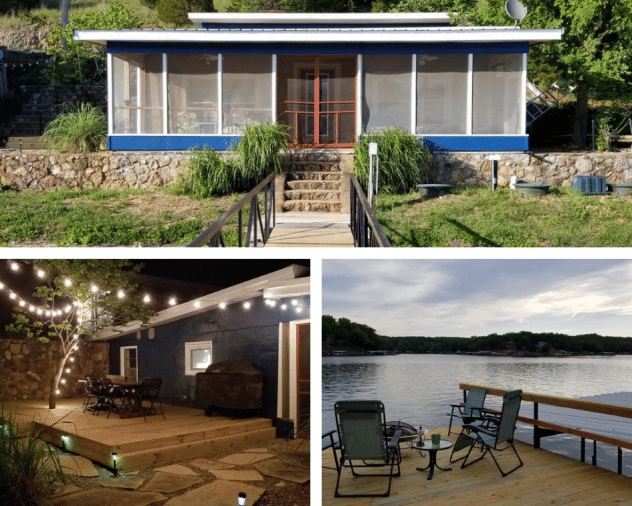 If lakeside living is your thing, this cute lakeside bungalow is perfect for your next girlfriend getaway. This charming lakeside house sleeps up to seven guests and has all the lake views you can feast your eyes upon! You can find the listing here. Plan ahead by paying attention to the location, available transportation, nearby amenities, etc. I hope you’re able to steal time away for a weekend with your best girlfriends while touring beautiful Missouri wine country!